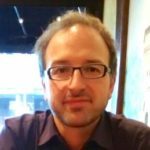 This webinar – part of LCRN’s series on The State of Life Course Health Development Research – features Marco Del Giudice, PhD. This webinar explores the influence of stress on development and health from an evolutionary perspective. Current mainstream models are based on the concept of “toxic stress,” and emphasize the disruptive effects of chronic exposure to stressors during development (allostatic load). An emerging alternative approach suggests that the outcomes of early stress may often represent evolved adaptations to challenging environments rather than instances of dysregulation. The webinar presents the main tenets of alternative models and their implications for health development, discusses key empirical findings, and highlights novel directions for research on this crucial topic.